Enjoy a unique winery bike tour to the Wachau Valley with 2 wineries, generous wine tastings, schnapps and liqueurs, amazing scenery, and visit quaint little towns, including: Stein, Dürnstein, Weissenkirchen and Loiben. 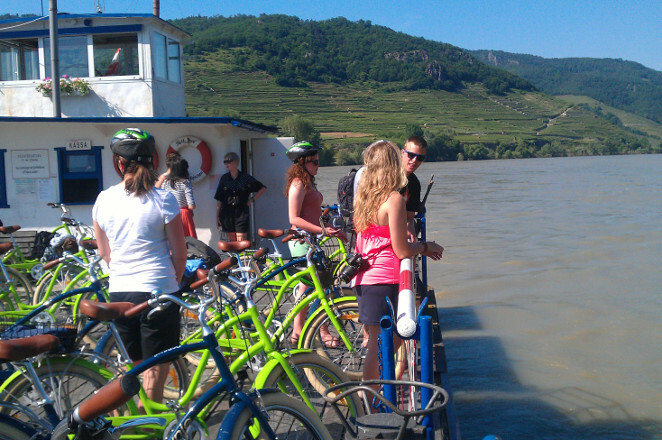 Take a break from museums and churches and discover the beauty of the Wachau Valley on this fun small-group tour of cycling and wine tasting in Austrias most famous wine region! Imagine an action packed day of wine tasting, while leisurely cycling through the country`s most beautiful Valley and cultural heritage, voted the Best Historic Destination in the World in 2008. 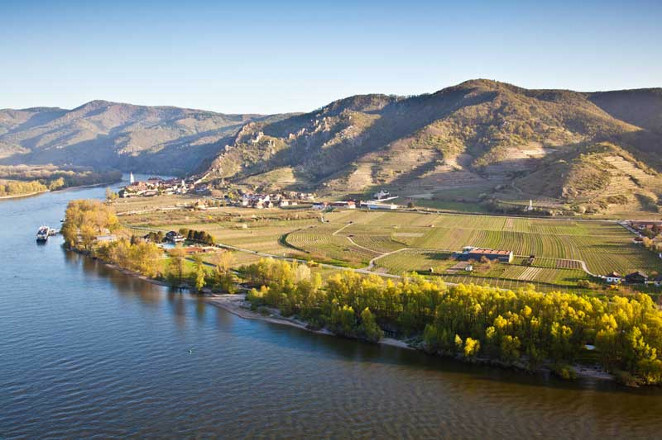 Renowned for its quality wines, stunning villages and picturesque landscape, the Wachau Valley is the perfect place to enjoy a relaxed day away from the hustle and bustle of the city. Arrive by train, hop on your bike and start exploring with us. Breathe in the fresh country air and take in the spectacular scenery as you ride through historic, charming cobblestone villages. 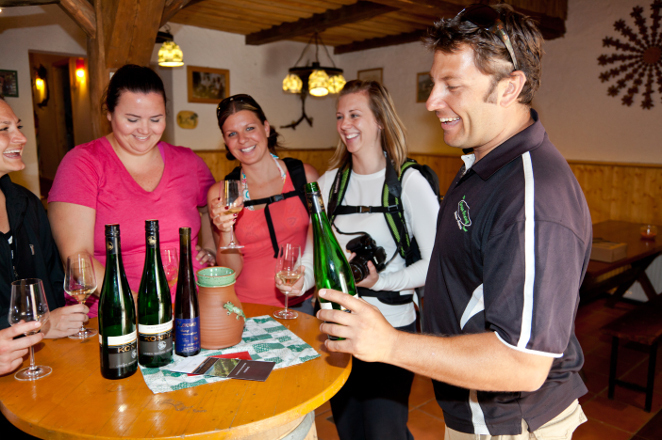 Stopping at local wineries, you will taste a variety of wines as well as other delicacies. 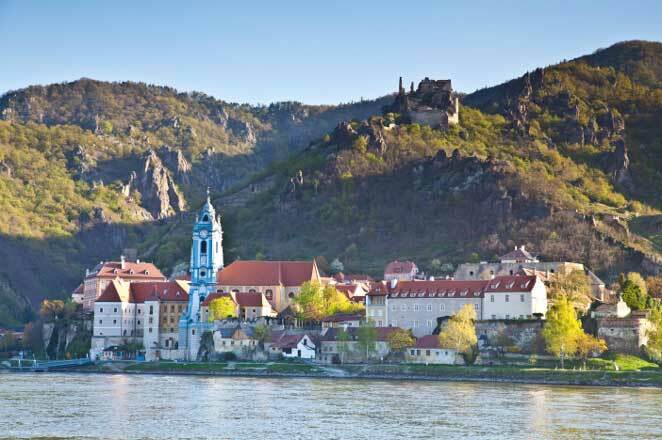 In your allocated free time, explore the UNESCO world heritage site of Dürnstein, a well-known medieval town in the Wachau, overlooked by the ruins of the Kuenringer castle where King Richard Lion-heart was imprisoned in 1192. 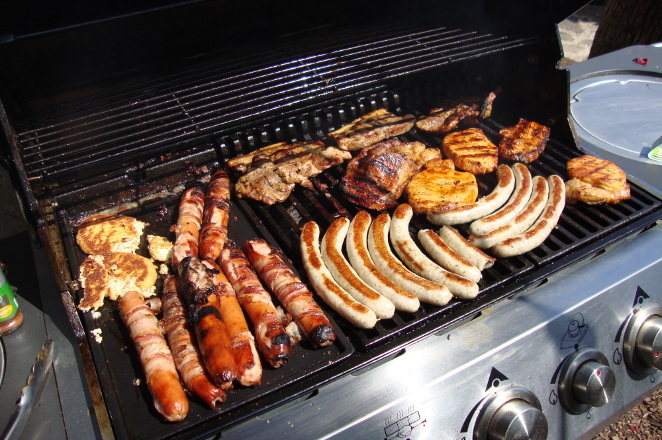 Then enjoy a delicious lunch at a local family-run restaurant. After lunch, relax by the Danube, go for a swim or enjoy a game of beach volleyball. Our Small-Group Wine Tasting Bicycle Tour is the perfect choice for those looking for a unique wine tasting experience that combines breathtaking scenery, fun, wine and culture to give you an unforgettable experience. Minimum tour numbers: If the minimum number to operate this tour(especially in the off-season) is not reached, the tour will be cancelled. An alternative date will be offered or a full refund. In the case of a cancelled tour, all customers will be notified by email. 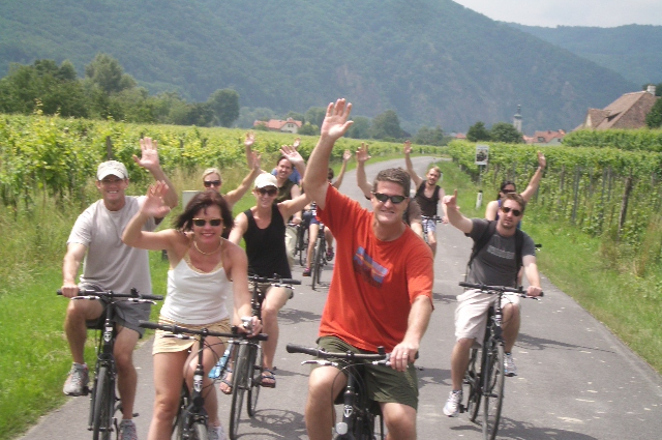 The Vienna wine tasting bike tour is about 24 km long, biking at a very leisurely pace. It is suitable for all ages, consisting of a mainly flat ride with few small inclines leading up through small villages. We stop frequently throughout the tour, with the longest non-stop biking section being 20 minutes. Join us for a fun and informative ride you`ll be glad to have been part of!